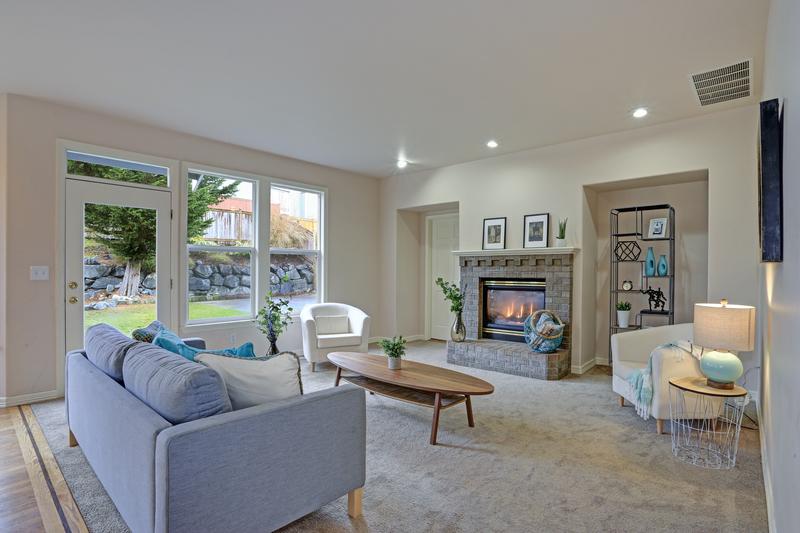 When taking steps to add value to one’s home, many people have the same question: how do I get my home to look like one of the beautiful interiors that I see on Pinterest? In this article, we’ll explore that for you and advise on how you can achieve your home goals! When you’re thinking about redecorating, Pinterest can be a great tool to brainstorm what sort of design changes you aspire to bring into your home. Sometimes, to give your home new life, it can be as simple as adding a fresh coat of paint. Other times, getting some old furniture or permanent fixtures removed will help your home look new. This process of reimagining will help you picture the new design and make changes more easily. When we think of neutral colours, many people think they should pick an off-white, beige, or grey colour for their walls. This is a safe choice but isn’t always the best choice when you look at the big picture – which is what redecorating is all about! Adding a coloured accent wall can bring a lot of character to your space without detracting how “bright” the space looks. Furthermore, if you add a large mirror to a space, it’s not only enhancing the light reflected from the white walls, but it also creates the illusion of depth on the wall you’re hanging it on. If you’re picking colours between white, beige, or grey, think about what other colours you are adding to a space. If it’s a warm colour, go with a beige or tan. If it’s a cold colour, pick a white with a slight shade of blue or grey. Because we can create a custom framed or wall mirror that fits any wall space, you don’t need to think about finding the right wall-sized mirror. You can design your space around the dimension and light that one of our mirrors would add. Consider what light sources you have in a room, if it’s from a window or a light fixture. This will help us to place a mirror in such a way that it maximises the amount of light you get in your space, because who doesn’t love an extra kick of vitamin D? Have fun designing and visit our showroom F#24, 5555 2nd St S.E. Calgary, AB, to get the most clarity about what pieces will add value to your home. One of our friendly members of staff are waiting to help you. Hope to see you soon!